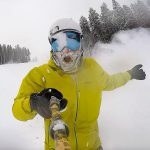 The Epic Pass has been in headlines recently, but if it’s in your ski pocket, then now’s the time to plan some spring skiing at Vail Resorts’ four mountains in Colorado — as well as resorts in Vermont, California, Utah and Canada. Preparing to celebrate 10 years of the Epic Pass, here’s 10 places to use it during upcoming events from Beaver Creek’s Talons Challenge to a special Her Mountain Retreat at Northstar. 10. Stowe in Vermont loves the ’80s. On Saturday, March 24, glow in all the neon during Stowe’s ’80s Retro Weekend. Dress in your best gear from the ’80s for a throwback day on the slopes. There’s also music from the rocking decade starting at 2 p.m.
9. The world’s best snowboarders — fresh off a little tour in South Korea — return to Vail Mountain March 5-10 for the Burton U.S. Open. The men and women hit the slopestyle and halfpipe courses during the day while free live music fills the open Rocky Mountain air at night. 7. In its inaugural year, go wall-to-wall at Park City Mountain in the Seven Summits Challenge, also on Saturday, Feb. 24. This challenge is for skiers and snowboarders who want to hit the whole mountain, hike a handful of peaks and hit some powder stashes all in one day. 6. The second annual Breck Pride returns to Breckenridge Mountain during Breck Break March 7-11. There will be live music, daily apres, a color run in costumes down the mountain and more. United we Pride. 5. Spring Loaded at Heavenly returns March 24 to April 8 with events featuring the Spring Loaded Rail Jam, Gunbarrel 25, live music, pond skimming and a snowboard rodeo. 4. Get your passport out for Whistler’s World Ski and Snowboard Festival happening April 10-15. It’s six jam-packed days of snow sports, music, arts, mountain culture and more — in Canada. 3. Ladies, always be faster than the boys — head to Northstar for the weekend of March 10-11 for Her Mountain Retreat and some quality “me time.” The weekend includes personalized lessons with female coaches, restorative yoga, first tracks and more — girls trip. 2. The third annual Keystone Kidtopia Music Experience is a week of family fun March 2-10. Featuring outdoor concerts, music-themed activities and a mountaintop snow fort, Kidtopia events also include fireworks, face painting, an ice cream party and more. 1. 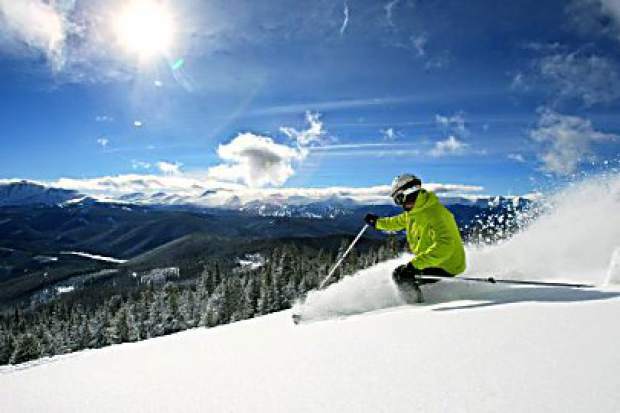 The Epic Pass offers access to a total of 46 resorts — from urban ski areas near Chicago, Michigan and Detroit to mountain resorts in Vermont, Colorado, Utah, California and British Columbia. Put your pass to use at any of the resorts because otherwise you’ll have about 200 days to wait until next season. Happy snowboarding, and skiing.